Mindfulness is simply observing your mind from moment to moment. It is always being “present” in the here and now. By observing our thoughts, we can begin to understand who we really are. This video is long, so bookmark this page if you want to watch it later, I’ll have it up as long as this video exists. If this all sounds a bit too strange and crazy, it’s because practicing mindfulness is. The state of mindfulness, or being mindful of our thoughts from moment to moment is not something that many of us are used to. Also, if watching our thoughts and being aware sounds too simple, it’s deceptively so. The mindfulness techniques might sound simple, but implementing them on a regular basis is war. Mindfulness requires practice, but is life changing and certainly achievable by any one of us. The magic part of the practice of mindfulness is that it’s always there. You can always begin, and begin again, because our minds are always with us wherever we are. 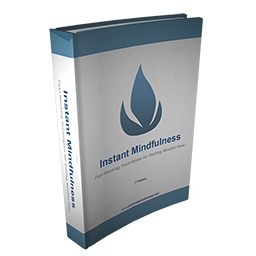 Mindfulness is a way of life that can literally be practiced anytime you are not unconscious. We often get wrapped up in the comings and goings of everyday life. Many of us wake up, hit snooze, wake up again, get out of bed thinking about work or some other pressing manner, shower, brush our teeth, grab some quick food, and rush out the door to sit in traffic with all sorts of other people who have just done the same things. Then we go about our day, day in and day out, and wonder where the time went when we look back. We are never more than minimally mindful of where we are or what we are doing. Most of the time, in fact, we really are on autopilot. How many of us can honestly say that we remember seeing something that really sparked our sense of wonder in the last day or so? How many of us have had that experience where we drive somewhere in a car, and when we arrive, we don’t even remember the trip, and are surprised that we are already at our destination? That’s autopilot, and is the antithesis of mindfulness. The funny part is though, that realizing that we are doing that immediately instantiates a mindfulness practice. Our minds selectively filter our reality, probably in an attempt to block out everything that our senses are taking in. 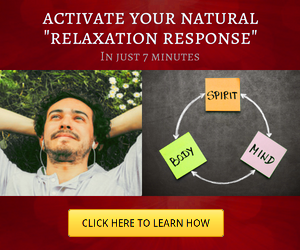 This certainly keeps up from sensory overload, but also puts us in a state of “sleep”. If we constantly took in everything that we’ve experienced, we’d need very trained minds to understand it all and allow us to keep operating. Many of us would go into shock because we’d be too distracted to do anything else. In this case, mindfulness would be improbable. These filters that our minds put on our senses are a double edged sword in regard to practicing mindfulness. One one hand, they keep us out of danger. They tell us not to touch the stove because likely, we remember doing that and feeling the intense pain that it caused. That filter keeps us safe. It guards us from damaging our bodies. It’s useful. It also puts a layer in front of us that keeps us from seeing reality for what it is. It builds associations in our mind that we then associate with other things. Sooner or later, we lose sight of seeing things for what they really are because our minds have built up these associations, aversions, attachments, etc… We then see everything in our lives through these “glasses” on our senses. Our preferences, beliefs, judgments, and the emotions that they cause in us keep us locked in our own prison. Mindfulness unlocks the cell door. This site is an exploration of my own experience in unlocking the gate and smashing the filters. 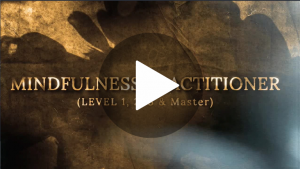 I invite you to join me in the practice of mindfulness.